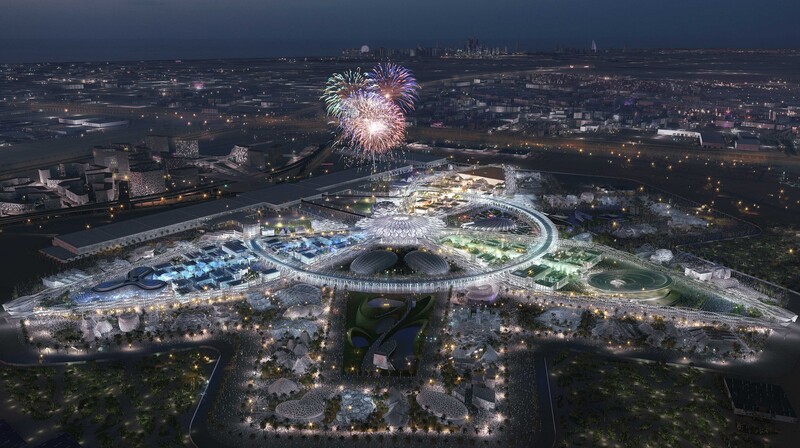 The Theme Districts form an integral part of the Expo 2020 Dubai site and will be visited by millions. They comprise 86 permanent buildings spread over three separate ‘petals’, housing 136 participating countries. They will provide a mixture of exhibition spaces for participating countries as well as hosting a variety of food and beverage and amenity offerings to cater for all ages, interests and tastes. 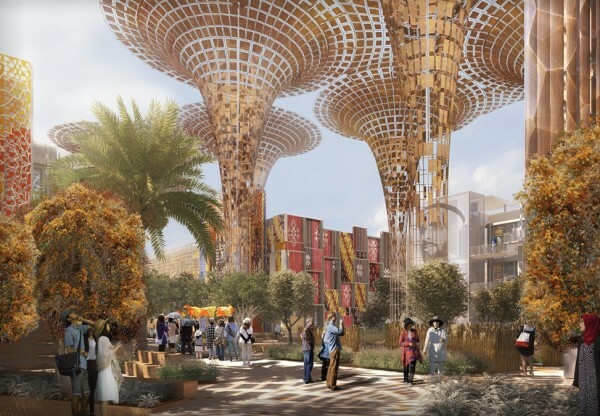 The design is characterized by a series of tree-lined, self-shaded, human scaled streets, with a variety of different sized and themed courtyard spaces. 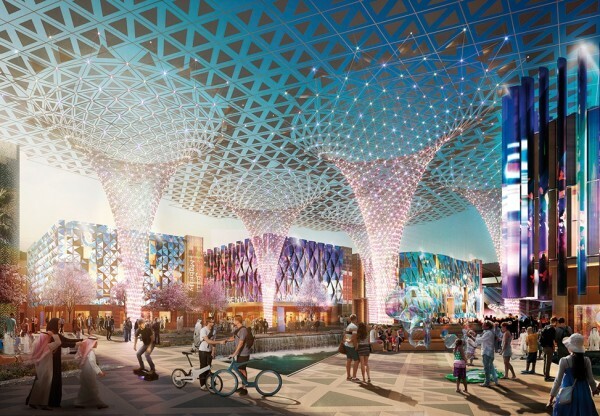 Each of the three petals is given a unique and memorable character, portrayed through different geometry, landscaping and colours to reflect the three main Expo 2020 Dubai themes of Mobility, Opportunity and Sustainability. A central spine runs through each district creating special shaded places with water features, event stages, activity areas and rest places, clustered underneath a series of dramatic and elegant funnel shaped shade structures. Off the main spine are a series of intimate streets that encourage visitors to discover new places and spaces. The districts will create diverse connected spaces, each telling a unique story with exciting indoor and outdoor environments for visitors to explore, eat, play or rest. It will be a showcasing opportunity for participants, a hub for innovation as well as a canvas to display new ideas. The project has been designed to achieve LEED Gold and will be repurposed in legacy mode to create a campus of buildings, each inter-connected via bridge links that overlook landscaped spaces, offering a district for creative startups and innovative tech companies with unique retail offerings and a range of residential units.